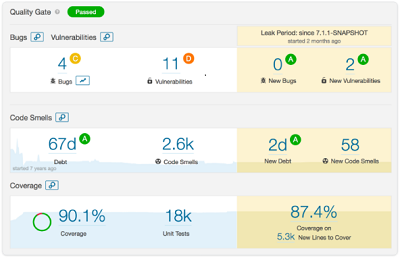 This post is provided by App Dev Managers Chris Westbrook and Susan Leighton who walk us through remote debugging a web application deployed as an Azure App Service. In this post, we’re going to look at debugging web apps deployed to an Azure App Service. Container? Why not App Services? In this post, Senior Premier Developer Consultant Casey Kriutzfield gives a walkthrough of deploying Linux Containers in Azure App Services. App Dev Manager Mariusz Kolodziej kicks off this multi-part series covering the deployment of an Internal Load Balancer with an App Services Environment via ARM templates and PowerShell. Infrastructure as Code (IaC) is becoming the norm for deploying all resources (IaaS and PaaS) in the Cloud. In the following article by Premier Developer consultant Kurt Schenk, he explains how to monitor a Java app using Tomcat running on Windows. When deploying a Java Azure App Service Web App, there are some great tools you can use for monitoring. I was recently assisting a customer with an App Service deployment problem in Azure and came across a fairly new feature (Swap with Preview) that addressed the customer need.